New version of ARC has been released. It was long lasted release containing tons of changes including: stability improvements, UI redesign, architecture redesign, security updates, and new features. 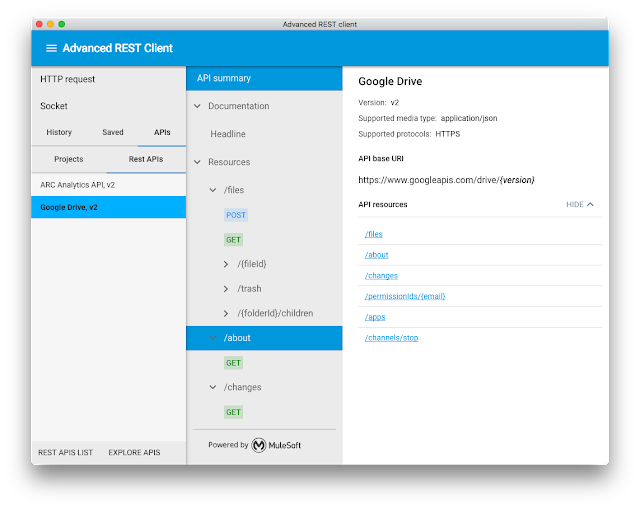 Advanced REST Client and API console uses this component to render XML data. We want to retire this component as it does not give any advantage over using Prism library (right now this library is being used to render other types). The component also causes problems when integrating it into other systems because it uses web workers. I have received many requests to remove use of web worker. My response is always: no data parsing in main thread process as it may cause the UI to hang. Prism also uses web workers but at least we will have one thing less to be worry about. The "response-body-view" and "response-view" components that uses this component will be changed around July 2019. After this date new version will be released without additional support for XML responses other than Prism highlighting. See this intent to deprecate here and comment if you'd like to take a part in the discussion. After a few months of preparation I am proud to announce that more than a half of web components that are part of API components ecosystem now support version 1 (stable version) of Web Components specification. In short, this means native support on all browsers without polyfills. Today I've released a first version of the node module to wraps Polymer powered web components into React component. The wc-reactor module takes a web component declaration (source code) and uses Polymer analyzer to get information about the component. Finally it creates a bridge between React and web platform so you can use any Polymer web component in a React application as if it is a React component. If you are ready to install new Advanced REST Client native application probably you would like to move your data along with you. Unfortunately there's no automatic way to move the data from Chrome application to new native application. This has o be done manually by exporting the date to file (or to Google Drive) and then import it in the new app. 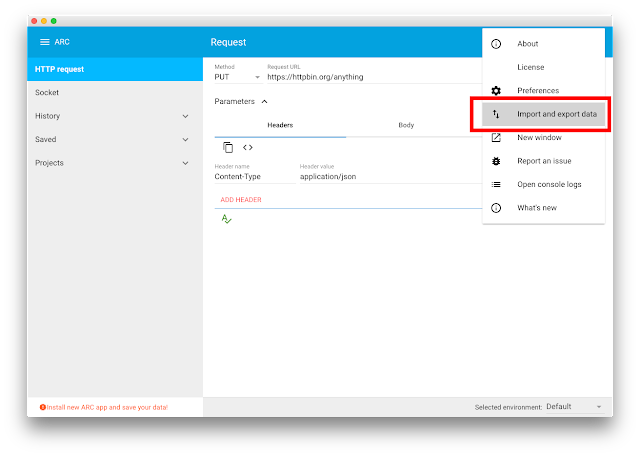 Let's start with installing Advanced REST Client native application if you haven't done that already. After new application is installed go to ARC Chrome application and export the data.